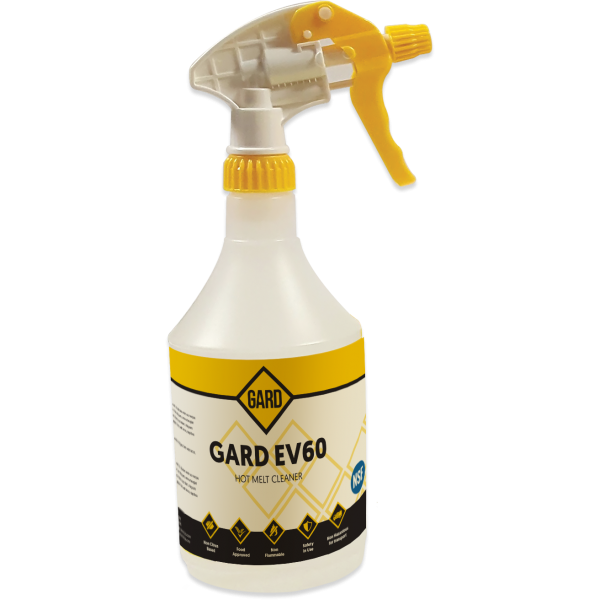 Gard EV60 external cleaner immediately penetrates and dissolves hot melt glue leaving machinery and components free from adhesive deposits. 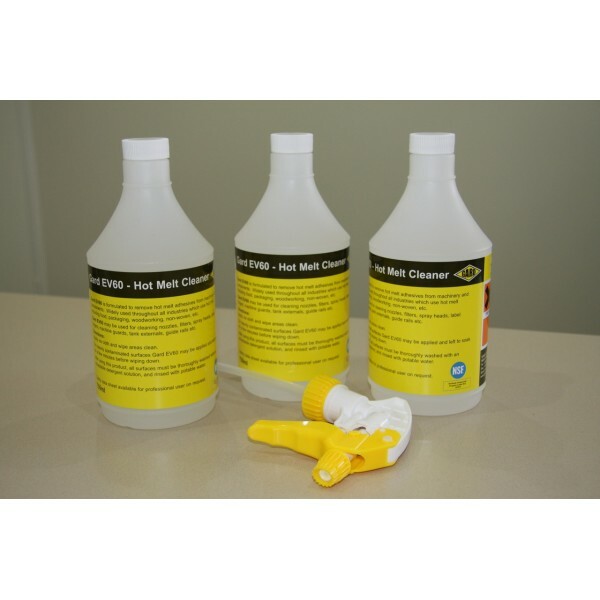 It's easy to use, low odour and is non-flammable and non-corrosive. GARD EV60 is a new liquid formulation developed to quickly and easily remove heavier contamination of hot melt adhesive from machinery and components, throughout the Bottling, Food, Nonwoven, Woodworking and Packaging Industries. GARD EV60 can be used to clean down label stations, guide rails, applicator wheels, label carriages, label brushes, belts, tank externals and machine guards without causing any damage to plastic i.e. crazing/clouding. GARD EV60 is widely used as a soak tank application for removing heavy char from equipment. GARD EV60 immediately penetrates and dissolves all hot melt glue leaving machinery and surfaces free from adhesive deposits. Apply via spray / clean cloth and wipe areas clean. On heavily contaminated surfaces, Gard EV60 may be left for a few minutes to penetrate the adhesive before wiping clean.